Other than the personal statement, there is nothing more distressing to medical students applying for a residency than putting together a Curriculum Vitae (CV). So, what exactly is a CV? Your curriculum vitae is a document that serves as a summary of what you have accomplished as a professional. What’s the difference between my CV and what I put on my ERAS application? Your CV and what you put in ERAS differ in two important ways – the content and the format. ERAS will generate a CV from the information you enter, but it’s not in a format that is usually used for a professional CV. In addition, the ERAS generated CV will not have the same information you will want on your CV. For example, ERAS “experiences” don’t translate well into a professional CV. Why do I need a CV in addition to what I put into ERAS? You will need to give your CV to any faculty writing a letter of recommendation. You may be asked to send a CV when applying for away electives. It’s a good idea to take your CV with you on interviews to provide a copy to the program, especially if you have updated it since your application was submitted. If and when you send emails to programs after you interview, it’s a good idea to attach your CV if it has changed at all. Bcc yourself when you do – if there is a problem with the email or the attachment, you’ll know it quickly. What do I need to include in my CV and what should it look like? There is no absolute “standard” format for a CV, both in content and in style, but there are some guidelines. In general, in addition to the “heading” with your name and contact information, the following sections (if they apply to you) should be included in the order they are listed. It’s a good idea to show your CV to mentors in your specialty to get their feedback since there can be subtle differences in CVs between specialties. What should I do to avoid common mistakes in creating my CV? Pick one font and stick with it. (11 or 12 font and something really standard). Number your publications and presentations. Don’t “pad” your CV with trivial events or accomplishments – it’s more important it’s accurate and appropriate than long. Go ahead and list “hobbies and interests” as your last topic for the residency application, but remove it as soon as you match. Double (no, triple) check spelling and formatting. Your CV is often the first impression a program will have. NEVER put any designs, photos or logos on your CV. If you put your personal email address, make sure it’s a professional email address. If it’s not, it’s time to get a new one. Don’t EVER lie or exaggerate. Where can I find examples or templates for my CV? Many medical schools have examples on line and all schools have help in the Office of Student Affairs or through other faculty mentoring programs. You can also sign into Careers in Medicine to see examples of CVs, which are also here. What should I do with my CV after I match? Remember, your curriculum vitae is a record your professional life… so it’s a “living” document that will need to be updated as new things happen. There is no one else who will every know exactly what you do and what’s really important more than you will. Keep a list somewhere of everything new that should go on your CV and sit down at least every month or so to review and update your CV. After residency when you “graduate” to having an assistant of your own, it’s still probably better to update your CV yourself. The AAMC provides a good example of a typical Faculty CV here which gives you an idea of what your future CV will look like! It’s the time of year when fourth year medical students have decided on their specialty and are working on their applications to enter the NRMP match. It’s also the season that faculty are asked to write letters of recommendations. With approximately 17,000 medical school seniors applying, there will be around 100,000 letters of recommendation written this year! If you have had the benefit of sitting on a residency committee to evaluate and rank applicants, you’ve read these letters – and you know that they matter. If you haven’t had that experience, it will be important to seek advice on how to write these important letters. Seek help from other faculty with more experience or review the great advice posted by the University of California- San Francisco and the University of Illinois Urbana-Champaign. This year, for the first time, faculty will have to upload these letters themselves. You can have a “designee” (your assistant, for example) do this for you – but it cannot be someone in the Office of Student Affairs. Make sure you get started early so it doesn’t become an issue as deadlines approach! The help desk at the AAMC is wonderful, but it’s going to be a problem if you wait until the last minute! Proofread. Twice. This is the first year that the Deans in your school won’t be able to look at your letters. No one means to make mistakes…. but in years past, I’ve found letters with the wrong names, the wrong gender and grammar that only sort of made sense. Needless to say, for the Program Directors it raises a question about whether your letter is legitimate. Instead of having the students worry (think back…. you worried, too), let them know when you plan to upload their letter. Regardless – make sure they are uploaded by September 1st. On behalf of all the students you are helping, and all the departments who rely on your letters to help match students to their programs – thank you!! Yesterday was Match Day. 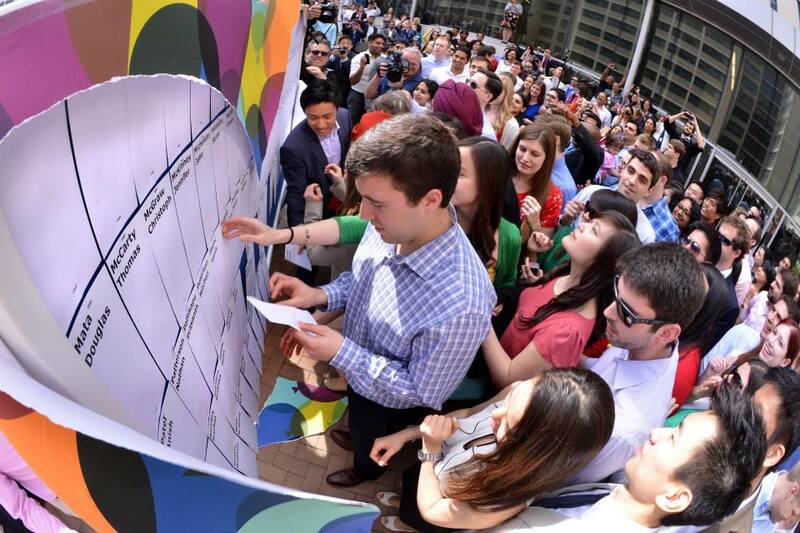 At noon EST, just over 17,000 4th year medical students simultaneously found out where they will go for their residency training this July. Medical training is punctuated by ceremonies like convocation, the White Coat ceremony, the donor ceremony (to acknowledge the “silent professors” in anatomy) and graduation. But of all the ceremonies, the one that is pure joy is Match Day. I truly believe that any physician disillusioned with their work, or even suffering from burnout should be “prescribed” attending a White Coat ceremony, donor ceremony and/or Match Day. I’m serious! 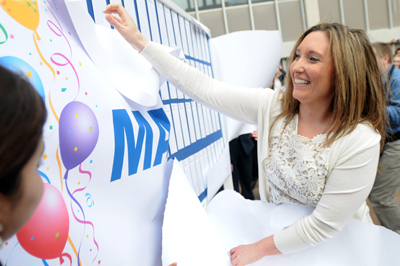 These moments of ceremony allow us to remember the reasons we choose the profession of medicine and the joy of practice. If you are part of a medical school faculty, make a point to attend one or all of these ceremonies next year. I promise, it won’t feel like an obligation, it will feel like a gift. If you are not in a medical school, contact the Dean of Student Affairs at your alma mater or a school close to you – we’ll help make it happen. 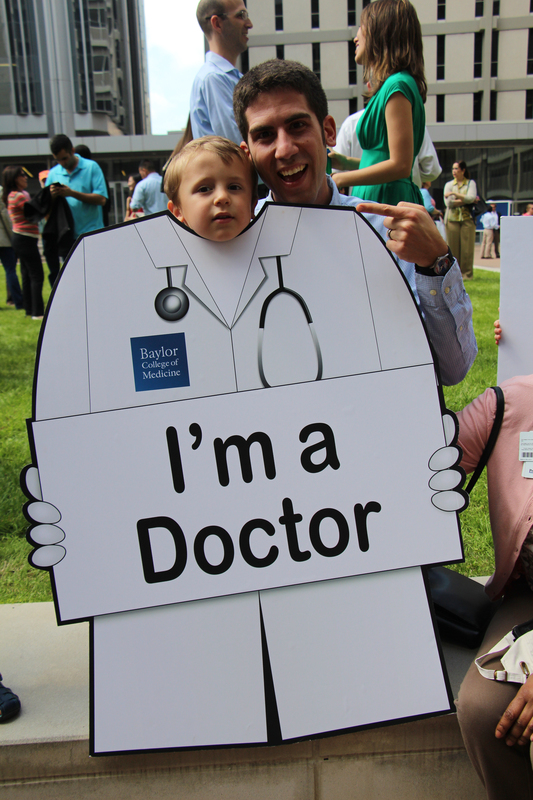 Congratulations to all medical students graduating this year – and to your families, friends, and professors! The following guest post was written by Daniel Fox, MD with the help of other residents in ENT for medical students applying to otolaryngology. I thought it was so outstanding that I asked his permission to publish a minimally edited version that would apply to all medical students applying in the NRMP match. Match Statistics hhttp://www.nrmp.org/data/index.html This will give you an idea about the qualifications of candidates that match into each specialty. ERAS https://www.aamc.org/students/medstudents/eras/.This website is for applying to residency programs. NRMP http://www.nrmp.org/.This website is for submitting your rank list. FREIDA https://freida.ama-assn.org/Freida/user/viewProgramSearch.do. This website gives some very basic information about individual programs, but overall is not very useful. Residency Program Director Survey (38% response rate) http://www.nrmp.org/data/programresultsbyspecialty2010v3.pdf. This gives you an idea about what program directors value. Talk to as many individuals as possible (MS4s, residents, and faculty) about the field you are thinking about. This will help you obtain the most accurate overall information. Get ERAS completed and submitted the first week it opens (September 15th). You are able to resend your transcript when you get rotation grades back. You are able and should update schools on your AOA status. When you are invited for interviews is really dependent on the specialty. For example, ENT programs typically have a later timeline so you might only have 3 interviews at the end of October while one of your friends applying for pediatrics has 15. They will come in time! Ask around the department, both at your own medical school and on your aways, to help find out which programs you should apply to. For competitive programs, an average applicant can probably expect interviews from 15-25% of the programs to which they apply. The very good applicant may receive 50%, and the outstanding applicant may receive interviews from 75-90% of the programs to which they apply. If you are applying in on of the very competitive specialties, recognize that many applicants applying have taken an entire year off to do ENT research, have a 270+ Step 1, have an additional degree (MBA, PhD), are former Rhodes Scholars, Olympic medalists, etc. Don’t overestimate your qualifications as an applicant. There is no rhyme or reason to interview selection. Even if you did an away at a program and were told that you would have an interview, this does not mean that you will have an interview. You should utilize program websites to construct a list of desired interview dates prior to being contacted by a program. It is not a bad idea to have preemptive emails written to each potential program with your desired interview date, so that you can respond promptly when offered several interview dates. This sounds entirely unnecessary and neurotic, but if you do not respond within the first couple minutes of receiving the email, your preference and possibly spot may be gone. If you have a logical flow of interviews based on location, this can also save you a lot of money when coordinating travel. Some programs do offer more interviews than they actually give, so if you don’t respond immediately, you may be wait-listed. During the months of October-December you should not go anywhere without immediate access to email during the hours of 7am-8pm. Be conscious of when you schedule Step 2 CS/CK as well because I know applicants that were not able to respond while in the exam and did not receive an interview as a result. I definitely recommend checking your “Junk Mail” box from time to time as one of my colleagues happened to check it one day and found an interview offer that they would have never seen otherwise! An alternative to this is to change the settings on your “Junk Mail” folder temporarily so that every email goes to your inbox. Regardless of your personal competitiveness, be sure to apply broadly to programs. Don’t rule any programs out as being “above you” and don’t rule a smaller or medium sized program out as “below you.” Even your instincts on location may steer you wrong and you might be surprised by places you thought would be “too big city” or “too small town” for you. Exactly who various programs choose to interview is a strange process with strong applicants sometimes seemingly randomly being refused interviews at less competitive programs and moderately-competitive applicants landing interviews at those same programs. Often, it comes down to the “intangibles” of your personal statement and/or LoRs that may tip a program toward or away from offering you an interview. Extracurriculars are important in ERAS, and you can put anything that you did into the CV section. 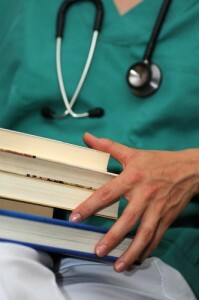 Some college activities like research are acceptable, but mostly put medical school activities. Please note that there is some disagreement on this topic. I actually put nearly all of my undergraduate activities on ERAS. You can also just choose a few that required that were especially impressive, time-consuming, or representative of your overall character. Remember, if anything you have done can be positively spun in a way put it on ERAS, but don’t misrepresent your activities. You need to have an actual CV and not just what ERAS generates. Ask for help with the format and appearance of your CV. It’s important to start making the transition from a “student resume” to a “professional CV”. Away programs and LOR writers will want your CV. Also carry a copy of your application with you to interviews. Though very rare, there are cases where the interviewer changed at the last minute because the intended interviewer was stuck in the OR. Have several people read your personal statement, including an attending. Also have a non-medical person read it. Have it done in time to give to your letter writers. Start early and revise multiple times. This was something that a few of us wished we would have had done earlier to make it easier for our letter writers. This is a very, very important part of your application that can help set you apart from the other applicants. Remember, for competitive specialties, program directors receive 200-300 applicants who all have mostly Honors on clinical rotations, mostly Honors in Basic science courses, and 235-250 Step 1 scores. Your personal statement is your opportunity to talk about what is important to you and what differentiates you. The goal is for the program director to finish reading your personal statement wanting to meet you. However, do not exploit trite writing techniques (e.g. “I knew I wanted to be an ENT as I climbed that mountain peak in the Rockies”). If you play an instrument, talk about it and how it has improved your manual dexterity. If you’re a parent, talk about how it has challenged you to be a team player and balance work and personal life; etc. The ideal is to mention some personal things that demonstrate something positive about you. The personal statement is also a place where mentioning what you are looking for in a program is appropriate. Ask the faculty member in person. All faculty members know how painful and difficult it is to ask for an LOR, so don’t be bashful in asking. The consensus is that you should generally work with the person for the better part of a week before asking. Personal statement-It would be ideal to have your personal statement done as early as possible because your writers will ask you for this. Send everything electronically to both your letter writer and his/her administrative assistant. The assistant will make it happen. Thank them with something appropriate – a thank you note, a small gift like chocolate, a Starbucks card or a small bouquet. It is probably best to have a mix of LOR types. Ideally you will have at least one nationally well-known writer and at least one that is very personal and speaks toward your character. Every field expects variations on who should submit letters, so make sure you understand these expectations. Residency directors like to read letters from other residency directors. Any faculty member who knows you very well can write a personal letter. Senior faculty will always have more “impact” than junior faculty for an equivalent letter. Away rotation residency director/chair. If you have an away early enough and can procure a letter, it is a good idea because programs like to see that you impressed people outside of your institution. It is not the end of the world if you don’t get a letter an your away though. The organization of away rotations can make it impossible to obtain a letter. If you want to get a letter, it is very beneficial to set up a meeting with the appropriate faculty member or chairperson at your away rotation during the 2nd or 3rd week of your stay and make your interest known that you would like a letter of recommendation. Ask what you can do to facilitate this. This will allow you to schedule time to work with him/her if you haven’t already so that they can decide whether or not to support you in your application process. Letters should ideally be uploaded by September 15th when ERAS opens to the programs. Every program knows that some faculty procrastinate. Don’t hound the faculty (although one or two gentle reminders are ok). Programs will decide to interview you even if all the letters aren’t there when they are making their interview lists (mid to late September). All schools require at least 3 LORs. You can submit up to 4 at most programs and should try to get 4 if you can. You have to individually assign each LOR to each program, so you can use any combination of LORs you wish for a given program. 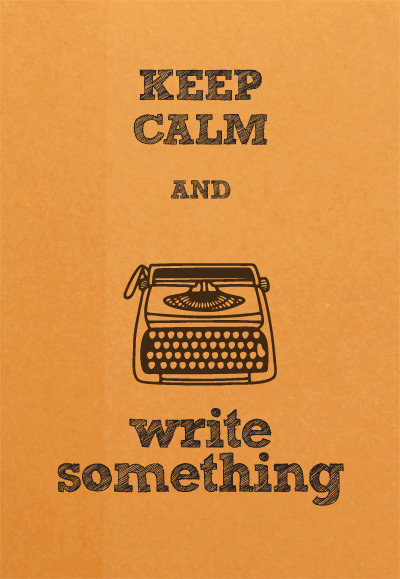 The same is true for personal statements, if you desire to write multiple personal statements. Try out programs you think you might like. It is a chance to unofficially audition before interviews; You can either impress them or destroy your chances for an offer, so work hard! Do away rotations early so you can get letters and try out programs before interview season, which centers around November-December. Be cautious about doing two aways in a row. Even if you think that you are a machine, you will be very tired by the end of these 2 months, and that can come across poorly to programs. Aways are not required, but can help your chances at a program if you do well during your stay. Aways, however, will not help you with any program other than that one. In fact during interviews, you may be asked why you did an away at one program and not where you are currently interviewing. Keep in mind that doing an away rotation does not guarantee you an interview with that program. If that is important to you, look for programs that automatically offer you an interview. If you know you want to get out of your state, do an away rotation far away. It will show programs that you are an applicant who is mobile and could really be interested in their program. You’ll be surprised on the trail how large of a part the “How interested are you really in coming to join us?” factor plays. Friendly, happy residents and faculty. One way to assess this is talking with chief residents who have little invested interest in which applicants match. If a chief is still a strong cheerleader for his or her program, that is a strong positive. Keep in mind that these are the people you’re going to be working with day in and day out and will probably become you’re closest friends, especially if you’re moving to a new location. Faculty covering all sub-disciplines in your field, particularly if you think you will be interested in subsequent fellowship training. Faculty that love to teach and are dedicated to their residents. Getting jobs and fellowships is very dependent on who you know and how willing these faculty members are to support you in pursuing career goals. Surgical or procedural volume; clinic volume; exposure to a breadth and volume of complex patients. Adequate autonomy afforded to residents. Fellows vs. no fellows. There are pluses and minuses to both. Doing an away at a place with fellows might help you determine your preference. Budgets for books, loupes, meeting travel. Clinic/OR locations. Are you going to have to travel to cover multiple hospitals at night? Are there away rotations? Mission trips. Many residents have the opportunity to go on trips with faculty members within or outside their program. Will you have to use vacation time to do this? What about funding? Significant, quality research and faculty willing to mentor you with research projects. A place that will provide reasonable benefits. THERE IS A LOT OF VARIATION IN BENEFIT PACKAGES SO READ CAREFULLY. Also, there are many states that do not have a state and/or local income tax. Family health insurance can vary from almost free to more than $6000/year. “Moonlighting” possibilities. Moonlighting counts in your 80 hour limit on weekly duty hours and must be approved by your program director. That being said, within those parameters, it’s something that is possible in many programs. Most students are afraid to ask this question. Only ask residents about this and not faculty members. If you ask, you will find that about 75% of the programs allow moonlighting. You can find some of this information in the resident compacts posted on department websites. For the most part, a lack of moonlighting is not a big deal for single residents, but can be important for applicants with growing families and a spouse that stays home. Program stability. Looking at past department newsletters that have faculty listings can give you a good idea about faculty turnover. Home call versus in-house call. Home call isn’t necessarily better, especially if you are frequently up all night and don’t get to go home early the following day. Also, how many hospitals are you covering? Are they in the same location or spread throughout the city? Try to figure out what you would want in an applicant and be able to give examples of how you display these qualities. Always be yourself though. It is not beneficial to anyone to be a chameleon and take on whatever role you think the interviewer wants you to play. You expect programs to put their best foot forward but also want transparency and humility. Likewise you want your personality to come through so that they can evaluate you. Some components of the “perfect” applicant are as follows. Clearly, this comes from an applicant perspective, but after doing 100-150 individual interviews, you will develop sufficient insight into the interview process. There aren’t many people outside medicine that do this many interviews in a career. Intelligent-don’t emphasize this in interviews. Everyone granted an interview is intelligent. Excellence-someone that has a built-in desire for excellence in all areas of life and doesn’t need external motivation to excel. Try to demonstrate this by giving examples outside of medicine. Team Player-someone that can work will with others. You will be asked multiple times about an experience where one member of a team was dysfunctional and how you handled it. Self-sacrificial-someone that recognizes that medicine is not about them but the patient. Learner’s spirit-you will be asked multiple times about a mistake you’ve made in the past and how you’ve learned from it. Thoroughness/Organization-this can be demonstrated by mentioning something about the interviewers background indicating your prior research about the program/interviewer. Personable-if this is true, it will come across in the LORs and interviews. Good Hands (for procedural or surgical fields)- a faculty member told me about a resident that made purses as a hobby and conveyed manual dexterity through this story. Mature/Responsible-evident through life experiences and decision-making processes. Contributor-someone that contributed to their medical school or a department and wasn’t simply a consumer. Initiative-be able to give examples of how you take initiative and are self-directed. Leadership-you will be expected to be a community leader. Honesty-this is almost assumed, though you may be asked to tell about a time that you lied. Work experience-residency is not only a training experience but also a job. Past work experiences can show a willingness to work hard, how to submit to superiors, and knowing how to fit into a team. Programs will want someone that is a hard worker and hasn’t been given everything on a silver platter. Good communicator: practice responses so that they are succinct. Self-reflective-applicants that know themselves well, can articulate goals, personality. Attitude-someone that is positive, enjoyable to be around, and not an Eeyore. Look for alumni of your medical school (particularly recent graduates who just went through this process) that would be willing to house you for interviews. If they do, take flowers, chocolate or memorabilia from your medical school as a thank you present! Stay with family and friends in surrounding areas. Take advantage of family member’s frequent flier miles. 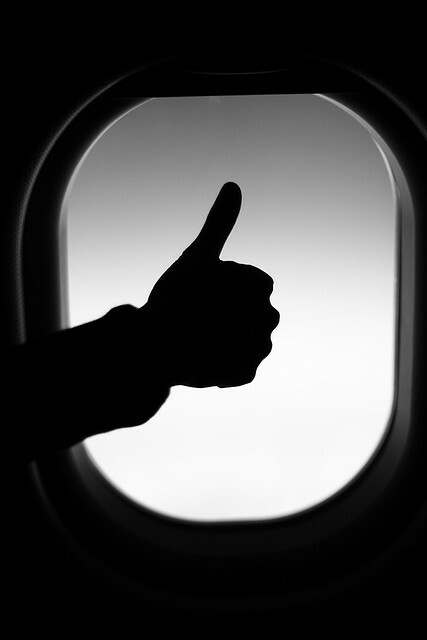 Develop a strategy to increase flexibility and decrease cost for your airline travel. Look for flexibility in buying and changing tickets. Many of your interview dates will be changed at the last minute. Southwest airlines is probably the most flexible about this (and has no change fees). Use priceline.com’s name your own price for hotels and rental cars. Most hotels offered by programs are overpriced. You can priceline the same hotel recommended by the program for half the price. Look into whether your car insurance and credit card provides collision, loss of use, and liability insurance. Most should not have to buy the supplemental rental car insurance. Rather than flying directly into your destination city, consider flying into nearby cities and getting a rental car. If you have the time, you can save significant amounts of money. Consider asking family members to help you drive. This can cut down on the number of flights you have to take. Be strategic about which suitcase you have (and make sure it’s not shabby) and how you pack it. Never check any bags when flying. You get 2 carry-ons (suitcase and interview clothes). 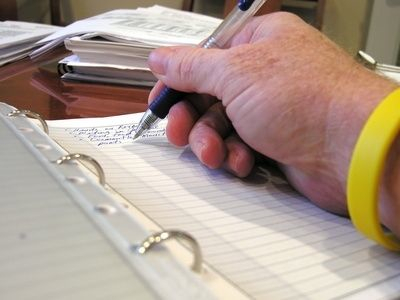 Keep a travel expenses log to get more federal loan money. There is some debate about whether you can deduct travel expenses for tax purposes, but several CPAs I have spoken to say you can. If wait listed, write an email indicating your continued interest. This actually works! Email the residency coordinator about places residents live. This will show genuine interest and will allow you to evaluate the area. Exploring each city not only gives you full disclosure but also shows the program that you would seriously consider moving to their city. You should probably buy an interview portfolio and a nice pen. Make sure your clothes are professional and appropriate. Carry a toothbrush and mints on you. Allow for time to iron clothes. Don’t forget to get your hair cut and to clean your fingernails. Concise replies that answer the question are usually better than rambling. Have $25-50 in one dollar and five-dollar bills so you have easy cash access to pay tolls when driving through big cities or for parking at hospitals if it is necessary. Not all programs will validate parking. If there is a parking attendant, remember how little money they make and think about leaving them a little something for a cup of coffee, too. Obtain a schedule of the interview day beforehand when possible. Plan to be at each program 1-2 hours later than expected. Interviews often go long. Know the entire faculty by name prior to meeting them. Know in general faculty research interests. Google them, look up their publications on PubMed, etc. Don’t flaunt this, but if the door opens to use this information it will make you look great. Have a bio printed out (or at least notes) with you on each faculty member! Know all the residents by name and medical school/undergraduate. This may seem like overkill but the residents will remember that you took a specific interest in them. It will also serve as a conversation starter. Know what the program is proud of and be enthusiastic about those points. Know how to pronounce the name of all those with whom you interview. If you’re given a question that you can’t answer easily, you can always say that you’ll have to think about that. Can we come back to that later? Bring several copies of your research work if published. Bring copies of written core evaluations to counter any questionable grade. Many interviewers will ask why you don’t have an honors in the major core rotations, particularly if its in your chosen field. What do I still not know? Make notes the day of the interview – it’s too easy to forget the details if you wait. These questions are compiled from both actual interview questions and possible questions. Many of these questions you will never hear, but going through this list will help you know yourself better and be able to more fully communicate it. You should practice the answers to questions with another person listening. Also, one crucial skill is to figure out why an interviewer would ask a question. Great, glad to be here, great program, great area, great people GREAT! It is very clear who is interested in a program and who is going through the motions. If you spent hundreds of dollars on an interview than you should be enthusiastic. What makes you stand out from all the others? WHAT ELSE WOULD YOU LIKE TO KNOW? Don’t ramble and don’t guess what the interviewer wants to know—ASK. How did you choose undergraduate, medical school? How did you do so well as a medical student? What kept you from doing better during medical school? Why did you do an away at … and not here? What did you like about the program(s) you did away(s) at vs. your home program? Why didn’t you get letters of recommendation from your aways? What is your favorite surgery/patient/day at work? Tell me about the most interesting case/patient you’ve seen. Tell me about a particularly satisfying or meaningful experience during your medical training. Why don’t you have any publications? What is the greatest sacrifice you have had to make to get where you are? Tell me about your research—often a specific project. Why did you get not get an honors in surgery/medicine/pediatrics/etc? Which patient did you learn from the most? Strengths-see above and give in the context of a story. Tell me about a time that you failed at something? What did you learn? Tell me about the most difficult challenge you’ve faced in your life? Tell me about how you’ve grown and changed as a person during medical school. How have you been able to maintain a work-life balance? Three adjectives that best describe you? How would your best friend, parents describe you? If I gave you $5000 what would you do with it? $50,000? 1 year? How well do you function under pressure? Tell me a story about yourself that best describes you. Tell me about an obstacle that you’ve had to overcome. What would you want on your tombstone? Tell me one thing that I wouldn’t know about you from this packet? What was the most difficult decision in your life? What is the most difficult stand you’ve ever had to take? What have been your biggest failures in life? How do you ensure this won’t happen again? With what type of person do you have trouble working? How would you handle a situation where a senior resident or attending asked you to do something you thought was wrong? Give me an example of when you have disagreed with a superior and how you handled it. Most useful criticism you ever received? If your house were burning down, what three objects would you grab? If you could have 3 wishes, what would they be? What in your life is most important to you? What is the last book that you read? You will be asked this question 10+ times. What is your favorite movie? You will also be asked this question repeatedly. What do success and failure mean to you? How do you measure these? If you could do anything for a day, week, month, what would you do? Single most valuable thing that you have ever learned? Why do others see you as a leader? What has been the most difficult thing you’ve ever done? How have you changed since high school? College? What might give me a better picture of you than your resume? Tell me a joke. You will definitely be asked this so have a quick, clean, funny joke on hand. What has been the most traumatic event in your life? Why surgery over medicine? Medicine over surgery? Children over adults? Do you see yourself in academics or private practice? Do you think you’ll do a fellowship? What do you want to accomplish as an [specific specialist]? Most enjoyable part of [specific specialty]? Toughest aspect of [specific specialty]? If [specific specialty] didn’t exist, what would you do? If medicine didn’t exist, what would you do? You will be asked this many times. Do you play a musical instrument? Did you play on a competitive sports team ever? These are 2 of the 3 “predictors” for who will be a good surgeon per a recent paper. The third is the quality of medical school attended. Don’t put too much weight on this if you don’t play an instrument or weren’t on a sports team, but several interviewers will ask about this if you are going into a surgical specialty. How would you describe each of those programs? Other than here, what program has impressed you the most and why? What one thing do you want conveyed to the residency committee? Why should we pick you over the other applicants? What will you contribute? What one characteristic qualifies me more than any other candidate? How do you plan to succeed as a resident? What are your plans for research as a resident? Give an example of a problem you solved and describe how you went about solving it. Teach me something in 5 minutes. 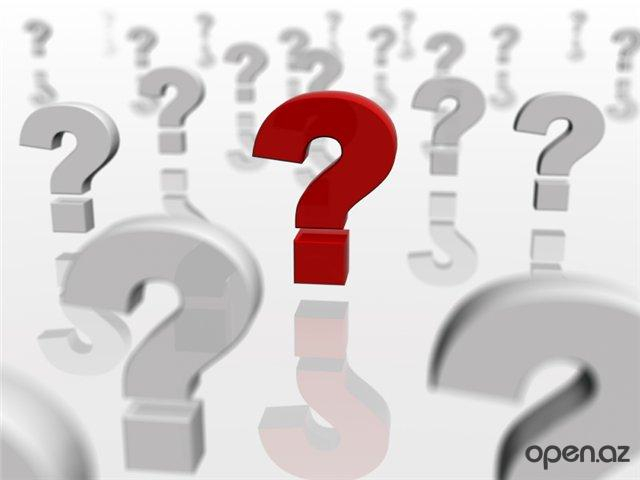 You will often be asked if you have any questions as the last part of the interview. Be ready! For each faculty member, ask why he or she went into academic medicine. Where are your recent graduates? What percent of graduates enter a fellowship? In what ways do faculty members help residents obtain jobs/fellowships? What is the best example in the program of faculty dedication to resident education? Where do you see the program in 5 years? What changes have been made in the recent past based on resident feedback? Percentage of residents passing oral and written boards first time? How many residents go to academic meetings? Do you expect any curriculum changes in the near future? What does this program see in me and why was I offered an interview? May I have a copy of this month’s didactics schedule? Would you choose this program again? Ask different residents, and look for the blink reflex. Which parts of the program do you like the best, least? How would you characterize faculty-resident relations? For key faculty members, give me 2 positives and 2 negatives about working with them. Have any residents in the near past left prior to graduation for any reason? Moonlighting policies, opportunities, and participation? If a 4th year resident announced his/her intention to pursue private practice, how would faculty view this? How many times have you been to a faculty members home in the past year? Have any faculty members been recently added? How long do you expect the chair and program director to be in their current positions? Access to books? Online? Textbook money? Midlevel providers (NP, PA) help? Percent of in house vs. home call? Percent of time you come in when on home-call? 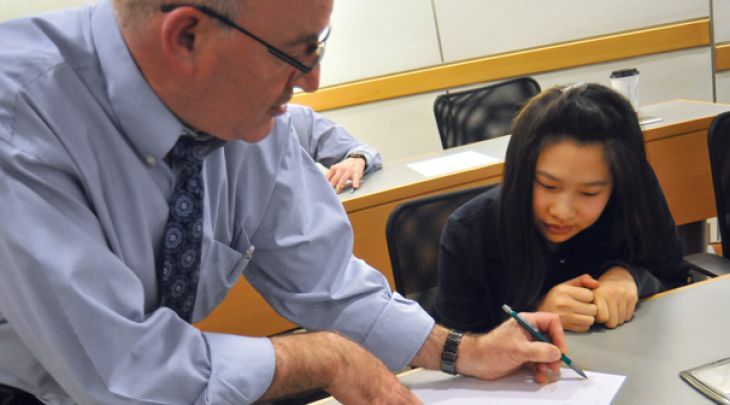 Taught by residents or faculty members? Past case numbers (for surgical specialities)? This is changing to a competency system but past numbers can give you an idea of volume. Approximate number of hours for each PGY level per week? 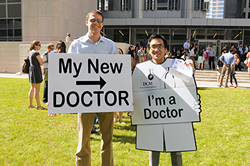 Benefits package: obtain from Graduate Medical Education Office though residents will know too. Like every doctor in the United States, I remember every detail of my “Match Day” …..The envelopes with our match results were placed in our mailboxes sometime during the morning. 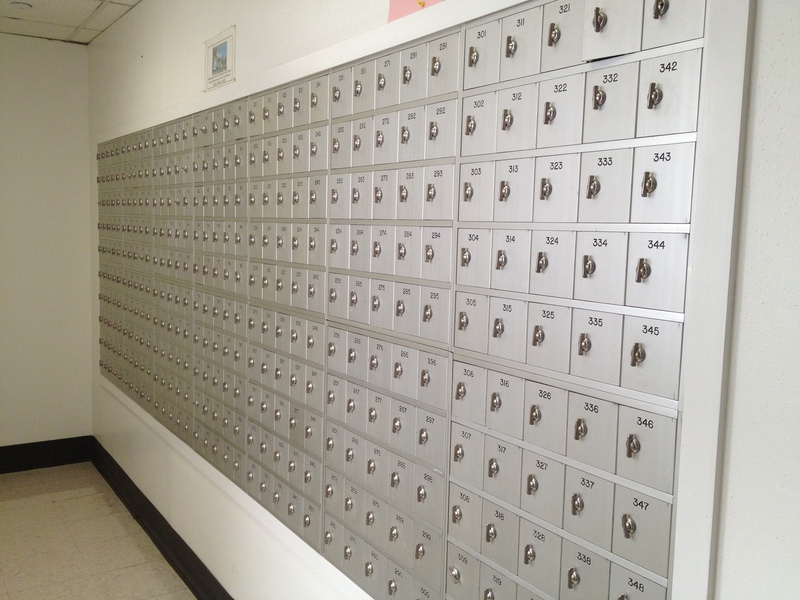 The entire class crowded in front of the mailboxes until the dean announced it was time. The doors were opened, envelopes were torn open and cheers erupted as we (finally) knew where we would be training! Sometime last spring, students made their final specialty choice. Over the summer, they filled out the Electronic Residency Application Service (ERAS) application, made sure letters of recommendation were submitted and met with their dean to provide information needed to complete their Medical School Performance Evaluation (MSPE). From October through January, they travelled around the country visiting programs that offered them an interview. Last month, they ranked those programs in their order of preference and signed off on the final list. At the same time, the residency program directors submitted a list of the applicants they interviewed in their order of preference. 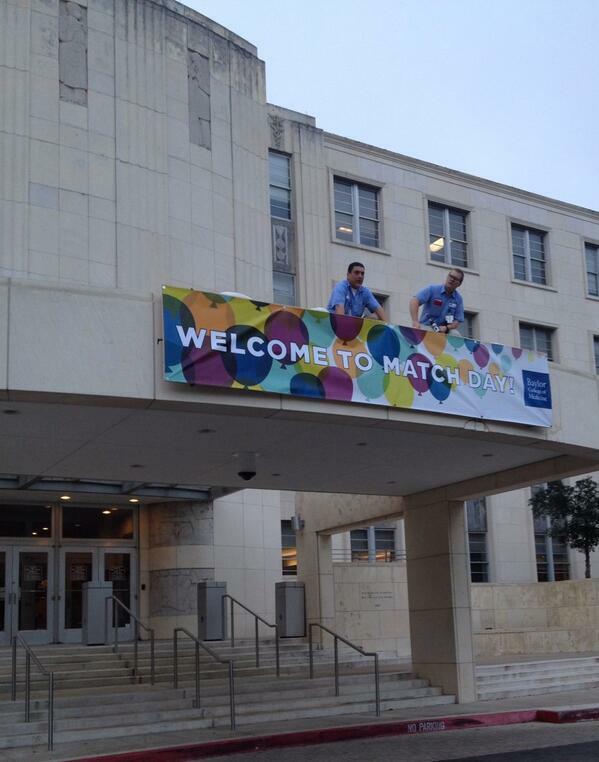 Today is the first day of “Match Week.” The National Resident Matching Program algorithm has been run with the goal of placing every graduating medical student in the United States into a residency training program. The system works well, with more than 95 percent of residents successfully matching to programs. For the few that don’t match, there is a second opportunity to match through the “SOAP” (Supplemental Offer and Acceptance Program), which will take place this week. On Friday, our team from the Office of Student Affairs will take the envelopes containing the match results for our 189 graduates and staple them to two large boards. The boards, covered in paper, will be taken to a courtyard while students, family, faculty and friends gather. There will be congratulations from Dr. Klotman, the president of BCM, short speeches from the deans and comments from the class president. The class may (or may not) have a surprise as part of their celebration, like last year’s flash mob. And then, at 11 a.m. sharp, the class president will tear the paper from the paper from the boards, the envelopes will be opened…and the celebration really begins! Congratulations to everyone matching this week and to the family, friends, faculty, Program Directors and Deans who make this possible! 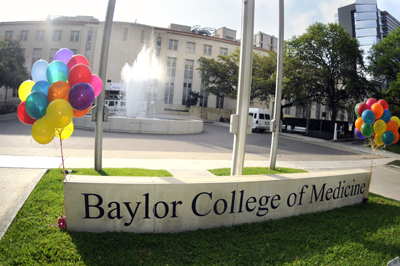 This post appeared originially on BCM Momentum, the blog for Baylor College of Medicine. It may seem kind of strange to write a post on just suitcases, but bear with me. For many medical students, the trips they will make for residency interviews will be their first real “professional” travel. If you haven’t traveled a lot, you don’t know everything that can go wrong…. So here are some rules to help you. p.s. I’m doing this first in a series of blog posts on how to interview in case anyone needs to drop a hint that they need a new suitcase (and possibly new clothes) as an early holiday present. Make it a goal that no matter where you go (or for how long ) you will always have what you need in a carry on suitcase. I went to Russia last year for two weeks – in the winter – with two carry-ons. Once you practice this, it’s not hard. Why bother? What could go wrong? Just ask around. It won’t take long until you hear the story of someone who to ended up at an interview in New York when their bag was in Nebraska. Which brings me to rule 2. Rule 2: Assume you will be sitting next to the chairman of the department on the plane. 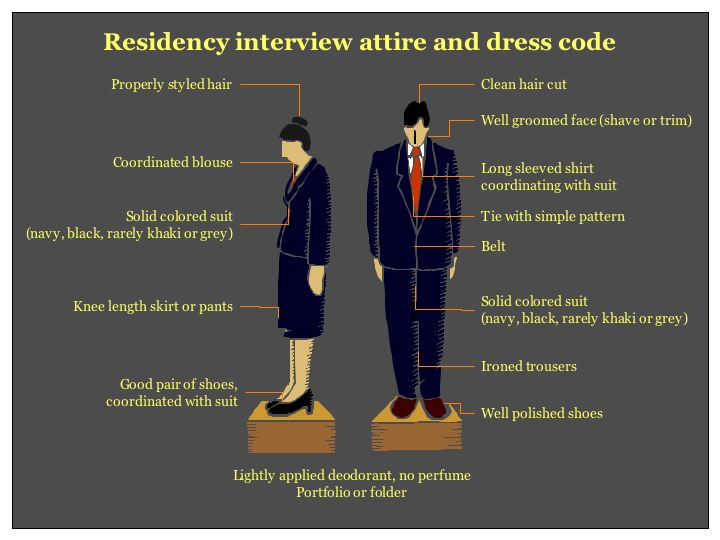 You don’t have to wear “interview clothes” on the plane but don’t have on anything that you would regret. It is really remarkable how many times you will end up sitting next to someone you will see the next day in your interview…. or someone who lives next door to your future program director. Rule 3: Have clothes in your small carry on bag that you could use in a pinch to interview. Ditto your toothbrush, razor, etc. Even when you plan to carry on your suitcase, there are times you get on last and there is no room for your bag. Although it’s unlikely, it’s not impossible they will mess up and your bag isn’t there when you arrive. Think ahead. Pack your shirt, tie (or female equivalent) in a small travel “folder”. Put it in the outside pocket of your suitcase so you can grab it if your bag can’t be checked. Rule 4: Make a travel checklist and go over it before you leave to make sure you have everything. This is something you learn the first time you get to a meeting and you don’t have a jacket to put on in the cold room. I’ve put the outline of the one I use at the bottom of this post for you to modify for your use. The next thing to do is make sure your suitcase is appropriate. Residency interviews are often a catalyst for buying a new suitcase. This is a good time to ask for an early holiday present if you need some help to buy a good one. The regulations for suitcases vary a little by airline, but the take home message is get a suitcase that is 22 inches tall and not too wide if you plan to carry it on the plane. There are many other options, but the two companies that have really focused on good quality, lightweight carry-ons are TravelPro and Eagle Creek. TravelPro suitcases are used by pilots and flight attendants, which tells you a lot. I personally like Eagle Creek because of their packing system. There are other companies, too, so look around. One way is the Eagle Creek system, but there are others like wrapping your clothes around a bag with smaller items, rolling your clothes and using plastic covers, and packing little items around the bigger ones to avoid movement. Think of packing like a puzzle. Put all your clothes on the bed to start with, then fill in spaces. For example, pack your socks in your shoes. Roll up workout clothes to pack in the edges. But – unless you want wrinkles – don’t overpack. Here’s a great video on how to pack more clothes with less wrinkles – seriously, watch this one. You’ll need to carry something with you when you interview for your papers and to collect the things they give you. This is a good time to carry something a little more professional than a back-pack. At a minimum, have a portfolio or a nice, small briefcase. For the plane, choose a carry on bag to carry your folio, the “emergency” interview clothes, whatever you are reading, your music, etc. These carry on bags, which often match the luggage, are designed to have as much room as possible but still fit under the seat. Heavy coat, scarf, gloves, hat?